After nearly a half century of Americans moving out of the cities into the suburbs beginning in the 1950’s, recent data from Strong Towns  suggests that Americans’ housing preferences may be beginning to shift. “56% of millennials and 46% of baby boomers prefer to live in more walkable, mixed-use neighborhoods” often known as walkable urban places. People are drawn to places where other people are, but you must first create a reason for people to be – and stay – in those places. Placemaking is the art of trying to create as many overlapping uses to attract people to a given place for as many hours per day as possible. However, retrofitting former suburban land development patterns is not easy or cheap. Former mall sites and agricultural land have become prime targets for walkable urban place creation, but these sites require significant public investment up front and often end up lacking the authentic qualities many are searching for in walkable urban places. In search of authenticity, many cities have targeted downtown redevelopment of former industrial neighborhoods, hard hit by shifts in manufacturing and shipping as well as shifts from industrial production to knowledge economies in many cities. Significant public investments for large redevelopment of former industrial areas, often including public stadiums, affordable housing and office spaces, have produced mixed results in terms of successful placemaking. While traditional placemaking has shown promise in catalyzing reinvestment and revitalization in urban neighborhoods, it typically requires significant investment over an extended period of time to be successful and transformative. This approach is not available to all communities, who lack the political will or financial resources (or stable political environment) in order to see these types of plans through to fruition. In response to the large scale, total replacement strategy often employed in traditional placemaking, emerging strategies under the umbrella term of tactical urbanism. Tactical urbanism is an approach to neighborhood building utilizing short-term, low-cost and small-scale interventions which seek to catalyze long-term change. Temporary art installations, food truck rallies, pop-up plazas, and parklets are just a few examples of small-scale, low cost projects which identify future opportunities in surface parking lots or other underutilized locations. While Tactical Urbanism projects are usually intended to be temporary in nature, they often contain all the elements of placemaking required to catalyze public life and portend future long-term changes. 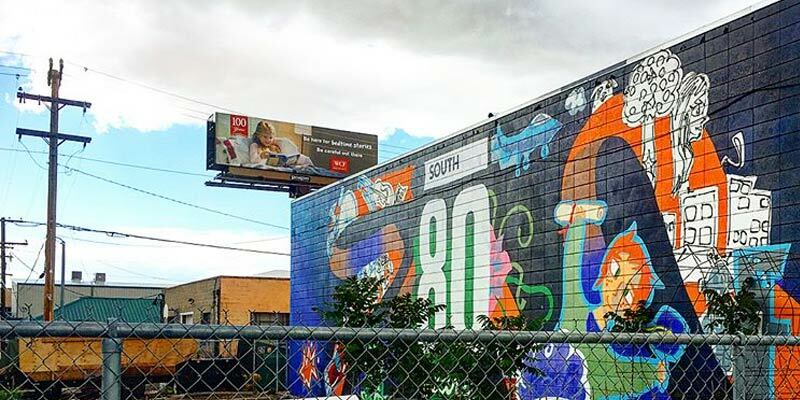 Creative Placemaking has shown significant promise in several cities along the Wasatch Front including Salt Lake City, Ogden and South Salt Lake. In these cases, urban neighborhoods has seen a rebirth in part due to creative placemaking and other tactical urbanism strategies in attracting residents and businesses to invest in former industrial neighborhoods. Several areas have seen so much success in fact that they are beginning to deal with the impacts of gentrification including significant rent increases leading to displacement. Other communities in Utah can benefit from this less expensive, authentic tactic as part of a long-term strategy for urban revitalization. For more information about Creative Placemaking in Utah and beyond, see Ryan’s presentation with representatives of South Salt Lake at Utah American Planning Association Conference in Sandy on October 5th.